Ecommerce and Online Auction industries are the most profitable among other businesses in the market. From 2017 to 2018, according to the current e-commerce statistics, 40% of internet users purchase via online store or online devices. It indicates that maximum sales are eventually through online buyers. The e-commerce market in the United Arab Emirates and the Middle East countries are currently valued around at 2.5$ billion and we are expected to reach $10 billion dollars by 2018. E-commerce is the fastest growing business in UAE and Middle East countries, while we are yet to create new business and job opportunities in the e-commerce business market. The reason for such growth in e-commerce is due to the improvement in smartphone users, knowledge on internet, government organization initiatives and encouraging the digital life. In business startups or mid-scale online e-commerce companies, the focus is on getting new customers as well as retaining the existing customers which will help to increase your sales volume and brand awareness. While developing an online store, we suggest you to consider the following potential key factors for the success your e-commerce business. The design and UI are the most challenging criteria that can satisfy your new customers. As website design and UI are the fundamental elements to the setup of an online e-commerce store, creating user-friendly websites with easy sign-up forms are significant. The payment transaction is an important process in online shopping, and only a secured platform can convince the customers. A high level of trust is very crucial. Reduce complexity and be transparent, and make you and your site trustworthy. Most of the e-commerce entrepreneurs lose for sales. You need to optimize your product page in order to maximize the ranking within search engines. Optimizing your product pages with relevant SEO keywords element and product images with detailed information can heighten the reach of your site. Review is a big factor in boosting the sales conversion rate. 61% of online users read customer reviews of the product before their purchases. So every e-commerce platform is required to maintain a customer review process. Providing 24/7 customer support and chat facility is very important while launching an e-commerce platform. 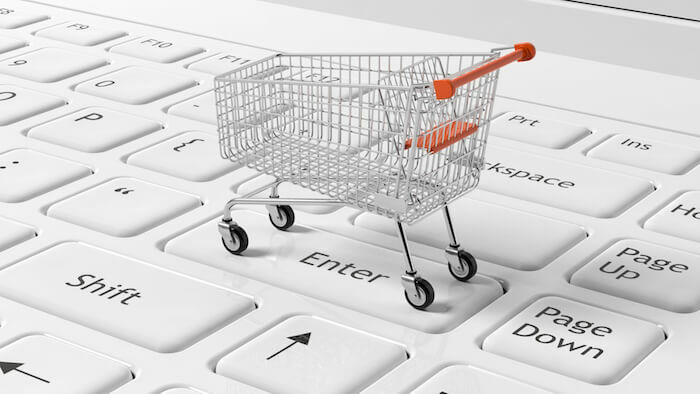 Ensure your website visitors experience a faster checkout. Make the navigation to the most relevant pages or product categories easier and provide the facility to complete the payment checkout process in a single step. Many e-commerce platforms provide almost all these features. However, our Uniecommerce Enterprise version and Jallicart SaaS E-commerce platforms provide the functional shopping cart features in a much better form which will help create you the best online e-commerce software and optimize your ecommerce site to get more sales conversions. This entry was posted in Ecommerce Marketing, Ecommerce Software, SaaS Ecommerce Software. Bookmark the permalink.